Very pretty color, Holly red formica. Stephen, is formica the type of finish you were looking for? If so just forward the funds and take it on home with you, you know you want it..........so you better hurry before someone else takes it home with them!!!! If it were on Reverb or any place where I could fire up the VISA, I'd buy it today. That is 100 percent my dream guitar. If he has a PayPal account he could send you a request and you could pay through PayPal using a visa card. 2017 Mullen SD-10, G2 5&5 Polished Aluminum covering. Promat #11 2007, D-10 Blond & Mahogany with Gold Tuners. Clinesmith Triple 8 Console, Birdseye Maple. 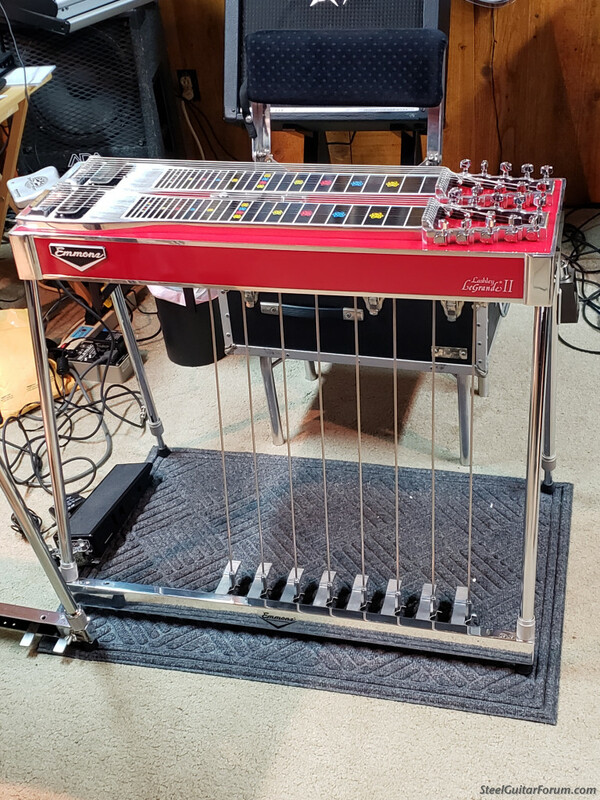 Clinesmith Joaquin Murphy style Aluminum 8 String Lap Steel. 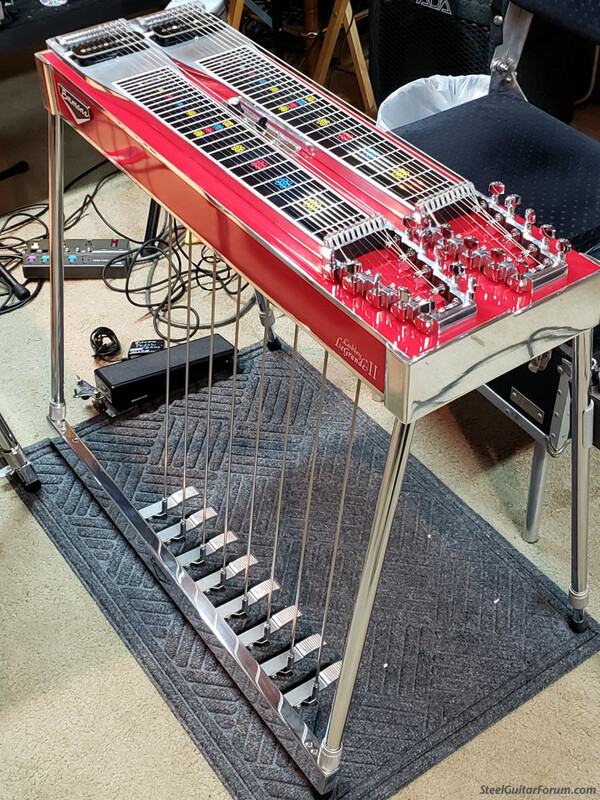 Clinesmith Aluminum 8 String Frypan. 1950's? Blankenship D-8 PSG Restored. 1956 Dewey Kendrick D-8, Restoration Project. 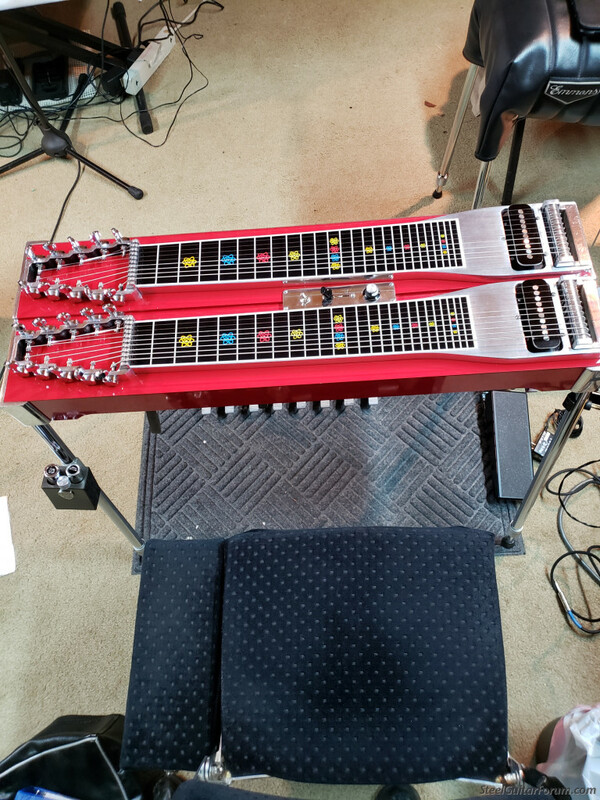 Morrell 8 string lap steel. You're not waiting on me....just ask me !! Removed my last post, sorry. Beautiful steel Allen worth much more than your asking price! It is a show stopper!!! Posted 19 Apr 2019 2:24 pm Emmons LGII D-10 for sale "PRICE DROP"
Okay, I'll pay all the shipping and insurance as long as it's in the lower 48 states. Guitar has sold, fee coming your way.